If you’re like me, you LOVE to give handmade gifts for Christmas. They are easy, relatively inexpensive, and you know they will be cherished forever! 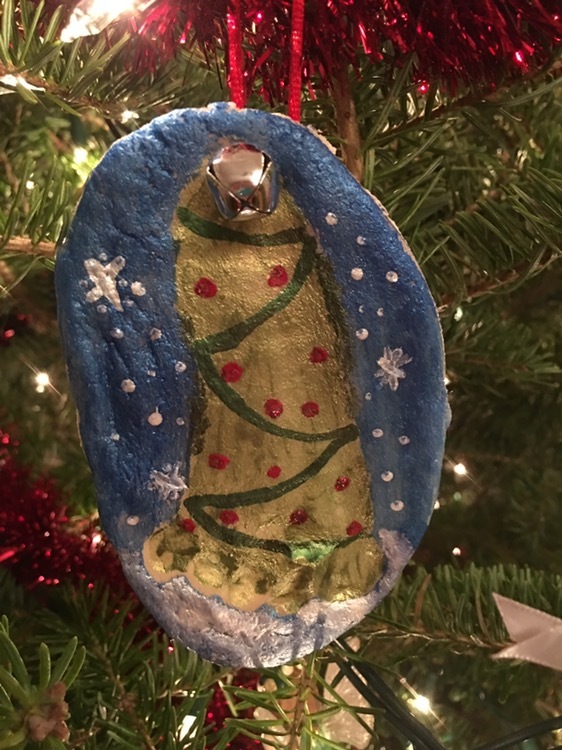 I made these salt – dough ornaments for Christmas 2015. Kaleb’s first Christmas! 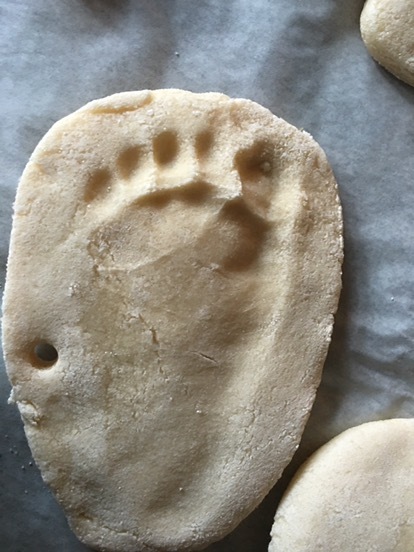 Back when my baby had little tiny feet and squishing them into dough was easier. 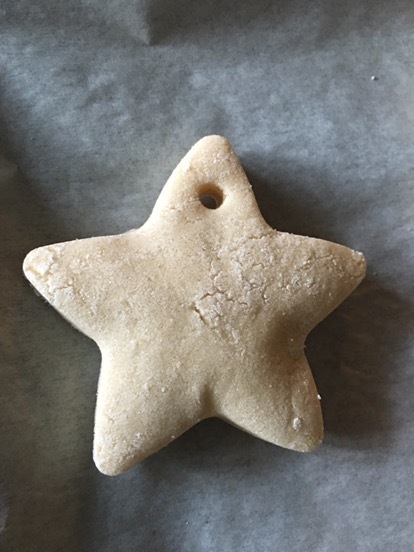 These salt – dough ornaments are really easy to make and fun to decorate! Mix salt & flour together in mixing bowl. 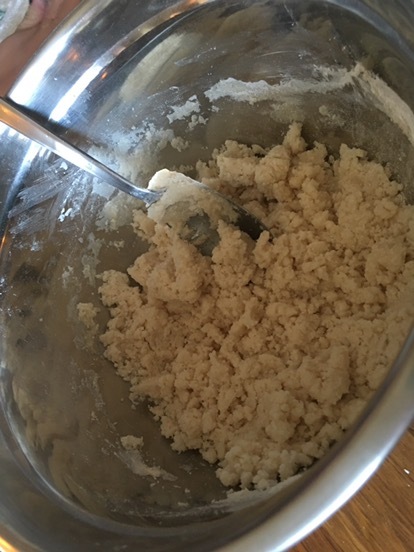 Slowly mix water together with salt-flour mixture with a spoon until thoroughly mixed. Roll out dough on a flat floured surface with the rolling pin, about 1/4 in. thick. Choose your shape cookie cutter and press down in the dough gently but firm. Wiggle the cutter around a little bit to break it free from the edge of the rest of the dough. 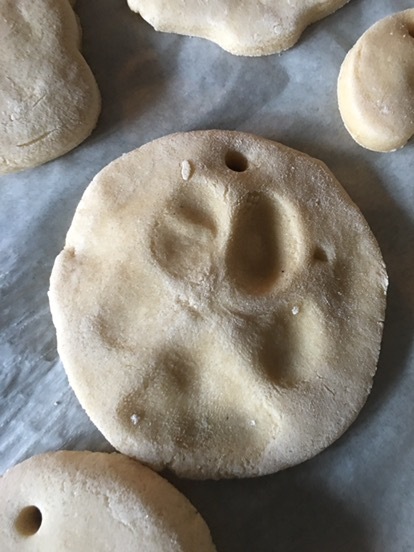 Carefully pick up your cookie cutter, if the dough cut-out didn’t lift up with it carefully pick up your design and place it on the wax paper on a cookie sheet. Repeat steps 4-6 until all your dough has been used up. Take the straw and poke a hole near the top of your ornament so you can later add your twine or ribbon hook. Place your baking sheet with your ornaments in the oven for 10 minutes. Keep watch as oven temperatures vary. When your ornaments hard you know it’s time to take them out of the oven. Gift them to your family and friends for a one of a kind keepsake!